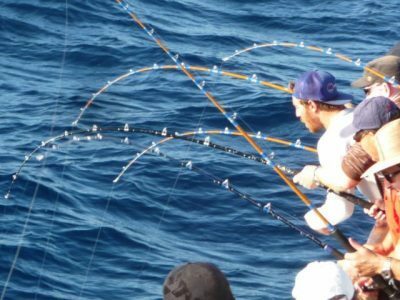 Fish Report - The Bite is on! The First report today! Steve on the Mustang has 23 Bluefin tuna from 40 to 70 lbs from their first school! The Mustang has a trip running Tuesday night on another 1.5 day trip with lots of room! Book Now! 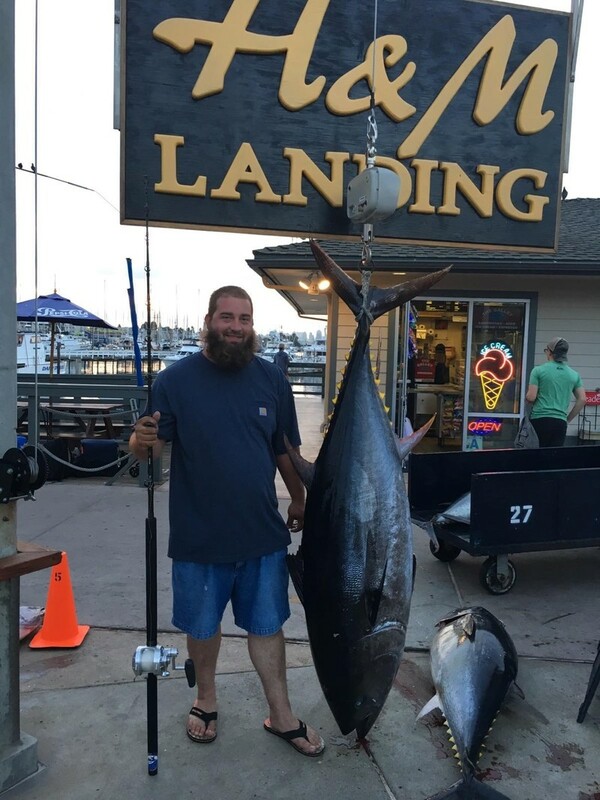 The Sea Adventure 80 came in from their 2.5 day trip with 65 Bluefin Tuna! They have another 2.5 day departing Thursday night. This is a very light load at this time and is a guaranteed go! Book Now! The Old Glory has called in from their overnight trip with 62 Yellowfin Tuna and 21 Skipjack!! The Old Glory is departing tonight (Monday) for a 1.5 day trip fishing for Bluefin Tuna! Book Now! The Producer has a 1.5 day departing Wednesday night! Book Now!